In March 2018, at the Light + Building Fair in Frankfurt, Germany, Louis Poulsen will welcome visitors into a uniquely Scandinavian urban environment shaped, above all, by light. 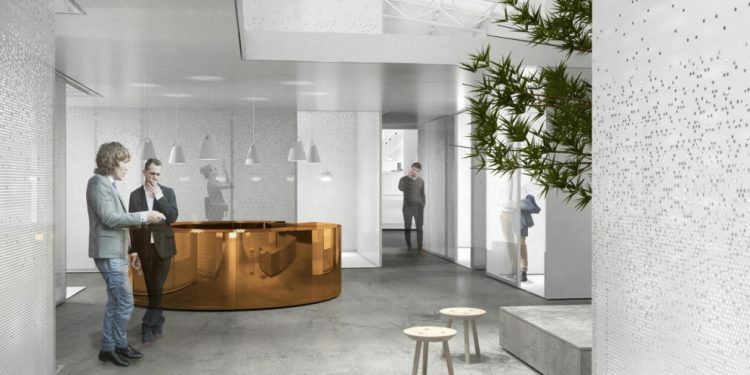 Designed by the renowned architectural firm Henning Larsen, the life-size model of a modern city will showcase how the integration of indoor and outdoor light as an essential component of architecture enhances the urban experience. 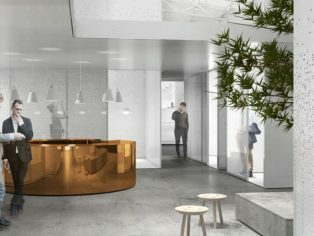 The space will present Louis Poulsen’s newest indoor and outdoor lighting designs – including the LP Capsule post top by Henning Larsen and the new Ripls and LP Slim Round fixtures – as well as exciting new autumn 2018 releases. Titled Humans, Light, Rhythm, the stand design explores the role of light in diverse urban environments, from city parks and streets to homes and workspaces. Henning Larsen – a firm well-known for creating innovative relationships between space and light – found a mesmerising way to bring visitors’ attention to urban illumination. The flow of light through the mini-city is controlled in part by perforated steel walls on many of the cube-shaped buildings. Light channels freely through these openings and lands in changing patterns on surrounding surfaces, mimicking the dynamic effect of city windows at night – and encouraging people to reflect on how light affects everyday experiences. Louis Poulsen + Henning Larsen: a union of two bright, Scandinavian legacies Humans, Light, Rhythm brings together two major Danish design players with common values and a shared focus on lighting innovation. Louis Poulsen first established its reputation with the ingenious work of visionary lighting designer Poul Henningsen. Similarly, the architectural firm Henning Larsen was founded by legendary Danish architect Henning Larsen, known for making light to the essence of his architecture. Humans, Light, Rhythm demonstrates the extent to which we can shape our physical environment and the ambience of our surroundings with light. The stand offers a vision of safer public spaces, and presents a case for more human-centred indoor design for better working and living. The concept’s ultimate goal: to offer solutions that make people feel good anywhere in the city.